WASHINGTON — The White House named Peter O’Rourke as acting Veterans Affairs secretary after Robert Wilkie stepped down from the post to begin his formal confirmation process for the department’s permanent top job. The move had been expected since President Donald Trump announced on May 18 that he was nominating Wilkie, the Pentagon’s top personnel and readiness official, for the vacant VA secretary job. Wilkie had served in an acting role since March, when Trump fired David Shulkin from the post amid infighting at the department. Naming O’Rouke as the interim department head once again bypasses VA Deputy Secretary Thomas Bowman for the post. Bowman announced he will retire from federal service on June 15. 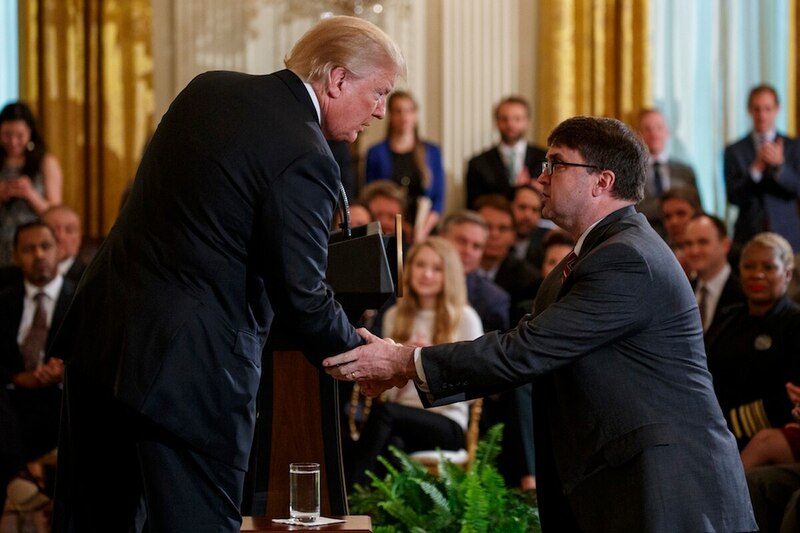 Veterans groups had complained that administration officials violated federal law by skipping over Bowman in March, and a pair of advocacy organizations have a pending lawsuit against the White House to invalidate decisions made by Wilkie as acting secretary. But similar to Shulkin, Bowman fought with White House officials over a host of policy issues in recent months, and avoided being fired by Trump largely because of the controversies surrounding Shulkin’s leadership. The flurry of moves Tuesday make O’Rourke the second consecutive interim secretary — the first time that has happened since the department became a Cabinet-level agency 30 years ago — and marks a rapid rise up the ranks of VA for the former Trump campaign official. O’Rourke joined VA in May 2017 as the head of the new department accountability office but was promoted to chief of staff in February when Vivieca Wright Simpson resigned from the post amid controversy surrounding her involvement in a scandal involving Shulkin’s overseas travel. Critics allege that the White House violated federal law by skipping over the department's deputy secretary for the job. O’Rourke is a Navy and Air Force veteran who also worked on veterans issues with Trump’s transition team. The White House announced that Jacquelyn Hayes-Byrd, his deputy, will serve as acting chief of staff while O’Rourke serves as acting secretary. The moves leave four of the department’s top six positions vacant or filled with temporary appointees. The VA undersecretary for health post has been without a permanent replacement since Shulkin was promoted to the top department post in February 2017. No timeline has been announced for when Wilkie’s confirmation hearing could take place, although Senate Veterans’ Affairs Committee Chairman Johnny Isakson, R-Ga., has promised to move quickly on the issue next month.